Western Australian Native Orchid Study & Conservation Group (Inc) » Western Australian Native Orchid Study and Conservation Group Inc.
WANOSCG and its Members have been enjoying Western Australian native orchids for over 40 years – by promoting the study and conservation of these unique and wonderful flora. We are a group of people from diverse backgrounds who share the love of Western Australia’s native orchids and their outstanding diversity. In addition to gaining satisfaction and increased knowledge from the study of these fascinating plants in their natural environment, we aim to promote interest in their conservation for the benefit of future generations. Strive for tangible, lasting outcomes. 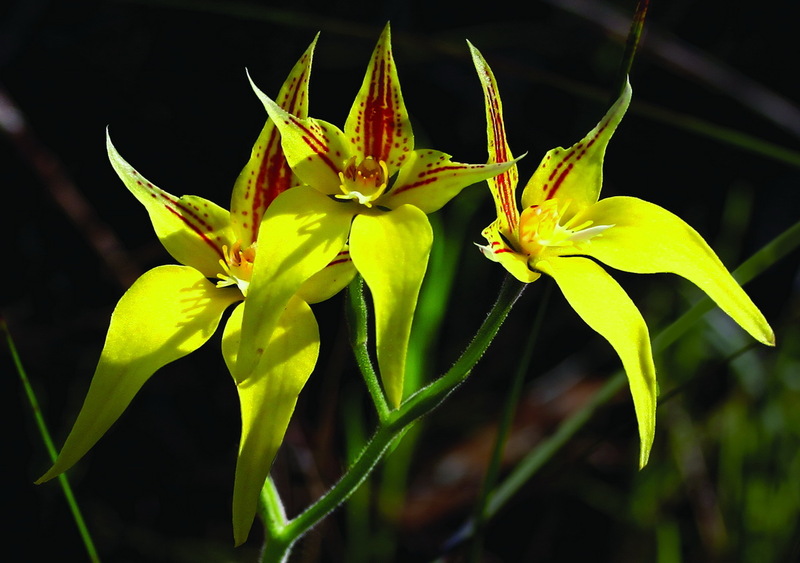 During the principal orchid flowering season from March to November meetings are held the third Wednesday of the month at 7:30 pm in the Kings Park Administration Buildings off Fraser Avenue, Perth. Following the general meeting formalities we discuss current orchid conservation matters and group and personal field trips. Members are addressed by a variety of speakers on a broad range of topics usually pertaining to orchids. Photographs taken by members are often shown at meetings, concluding with a light super. Please note that all flora that is native to Western Australia is protected throughout the State under the Biodiversity Conservation Act 2016. It is illegal to remove native flora from public lands without an appropriate licence and, in the case of threatened flora, it is illegal to remove it from any lands, including private land without ministerial approval. The Biodiversity Conservation Act 2016 now provides for substantial deterrent penalties, up to $500,000 for a person taking threatened flora species. Some of our members have noted clear signs of native orchids having been dug up and removed, possibly illegally. 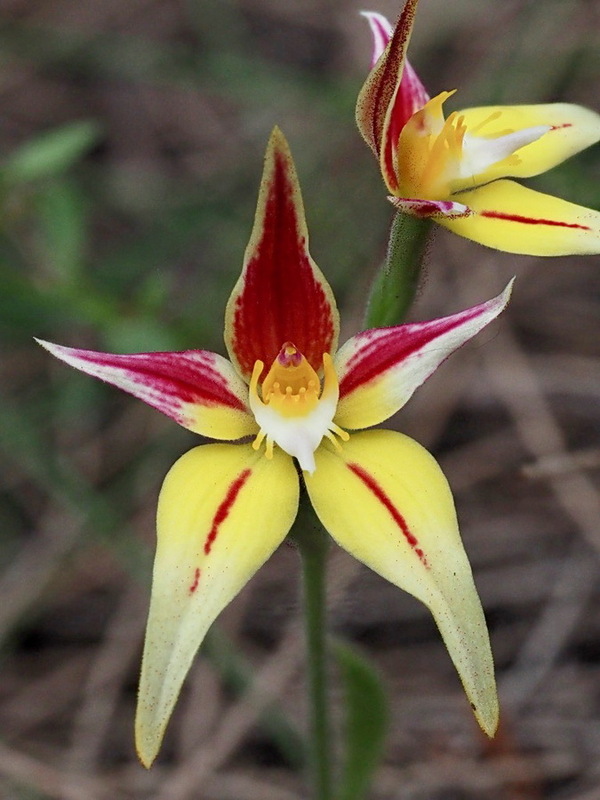 Members have also seen evidence of damage to populations of native orchids listed as threatened, including vegetation clearing, spraying of Herbicide and removal of plants. We encourage members seeing such evidence to report it without delay to the appropriate DBCA District Office.